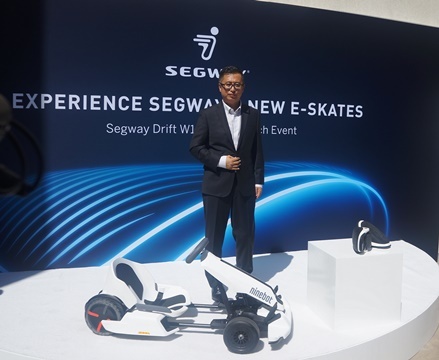 July 24 – Los Angeles, CA – Segway Inc. (Segway), the world’s leading provider of electric personal transportation and a wholly owned subsidiary of Ninebot Limited (Ninebot), launched two new products at a press event held in Los Angeles, CA: the Segway Drift W1 and the Ninebot Gokart Kit. The Ninebot Gokart Kit is a unique accessory for the miniPRO260 or miniPRO320. Users attach their miniPRO to the kit, acting as the rear wheels and drivetrain for the Gokart. The Gokart Kit offers three driving modes; novice, normal and sports, with each corresponding to a different driving speed. The Ninebot Gokart Kit has a top speed of 15 MPH, a typical range of 9 miles and a maximum payload of 220 lbs. It can be adjusted to lengths between 51 and 75 inches, suiting the needs of most riders. 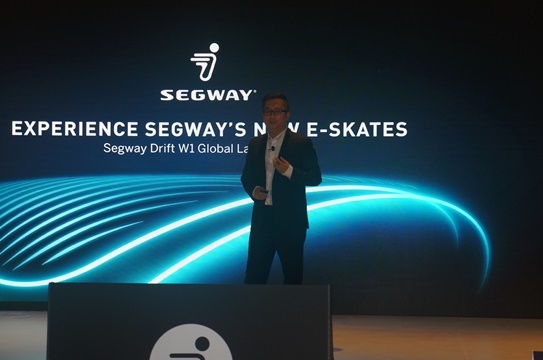 In keeping with Segway’s overall focus on safety, it offers dual braking (electronic and mechanical), as well as speed management and alerts via the mobile app. With a strong battery, simple operation, and suitability for a wide range of people. 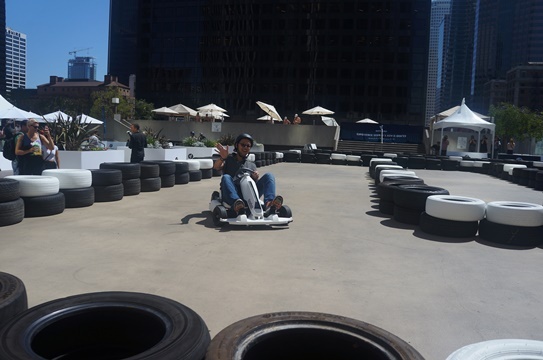 You can reserve your Ninebot Gokart Kit at Segway Inc. . When released, the kit will have an MSRP of $599. These new additions to Segway’s ever-growing consumer product lines are further evidence of Segway’s focus on smart life and travel. The company continues to be at the forefront of intelligent technology research and development and this new product release is a perfect example of its pursuit of improving transportation technology products. 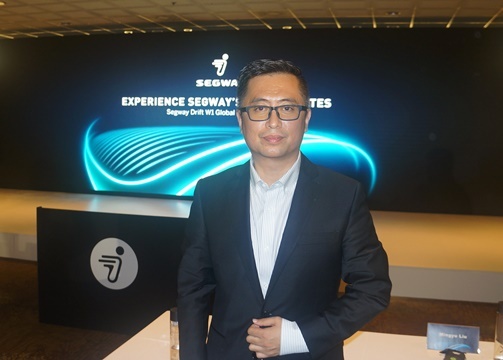 Segway is moving in a brand new and exciting direction. For years, known as the world leader in commercial-grade, electric, self-balancing personal transportation. After strategically merging with Ninebot, They reevaluated product lines, as well as target markets, and made some bold changes. 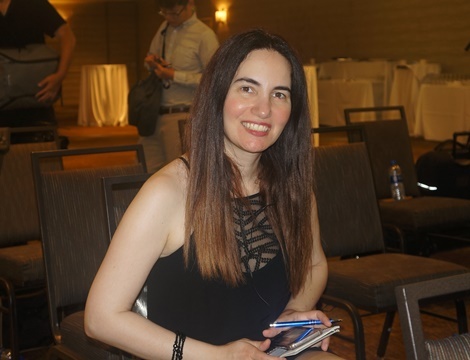 They are now also applying world-renowned intellectual property to consumer products, with a sharp focus on transportation for lifestyle and recreational riders, and not looking back. Luke Gao, the board president and CEO of Segway-Ninebot, alumni of BUAA—Beijing University of Aeronautics and Astronautics, In April 2015, Luke Gao acquired Segway—the world’s leading manufacturer of self-balancing personal transporters, to form a new global company Segway-Ninebot, becoming the world leader in service robots and intelligent vehicles for short-term transportation. The company has more than 700 of the world’s top industry core patents, achieving a globalization of intellectual property.